What you learnt during the Puro Sabor Cubano workshops, would depend on the date you select as workshops are tailored and varies in accordance to the dance style selected and the teachers. ​Focus is placed on teaching more than the basic moves from the specific dance style description correctly so you can have a full experience of Cuban Dance, Music, Culture and some history. Why Puro Sabor Cubano with us? Pure Cuban Flavour has it all. Flavour, sabor, heat and corporal expression. Classes are designed to help you become a more confident and knowledgable dancer. To get not only the dance steps, but overall understanding of the dance style, music genre, style and improvisation technique to shine on the dance floor. Cuba at it's best! TOP UK Native Cuban born DANCE Teachers, Professional dancers and ESTEEMED choreographers. Classes are done in a comfortable dance studio or suitable venues.​ Great value for money. Workshops are level tailored. But we welcome all levels ( unless specify) as we have our own levelling system and dived classes when needed. Please check the description and contact us if you have any doubts. Whether you want to join us for a single class or pay for a few workshops with a discount. Puro Sabor Cubano: Much more than the learning of different styles of dance steps, -One Day of Intensive & Revolutionary CUBAN DANCE and CULTURE! From TOP UK DANCE Teachers, Professional dancers and ESTEEMED choreographers. Dates, venues, teachers, levels, dance and music style varies , so please read the PSC description carefully as well as the programme on the BOOKING INFO button. ​Great classes!! The teachers were amazing. I now understand more about the different dance styles that come from Cuba. Did not that there were such a variety of dance and music. I meet a lot of new people and made friends. 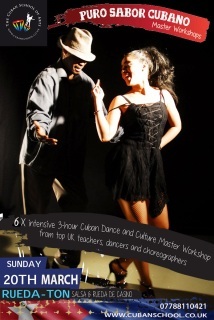 On of the best Afro-Cuban Workshops in UK. Thought with great detail and passion. Highly recommended. What is Puro sabor cubano master workshop? Puro Sabor Cubano ( Pure Cuban Flavour ) workshops are set of dance and or music workshop with a deeper and more structured , concise information about the rich world of Dance that Cuba has to offer. Created and organised by Damarys Farres, Director of the Cuban School of Arts, in association with Top UK Cuban born dancers and artists. What CAN YOU EXPECT during the workshops ? Flavour, heat and corporal expression. Cuba at it's best ! 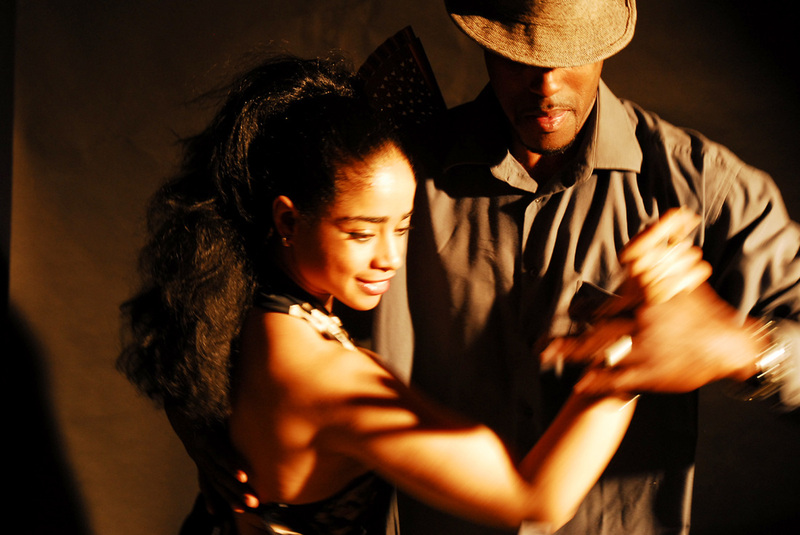 Hours of Intensive & Revolutionary CUBAN DANCE and CULTURE! Cuban music is a myriad of styles and genres with a long history. While influences from Africa and Spain were predominant, Cuban music has also been shaped by the music of Europe, Latin-America and American pop music and Jazz. We are well know for our Son "Buena Vista Social Club" , Rumba and Timba or Salsa. WHAT WOULD YOU BE LEARNING AT THE PURO SABOR CUBANO WORKSHOP? What you learnt during the Puro Sabor Cubano workshops, would depend on the date you select, as workshops are tailored and varies in accordance to the dance style selected and the teachers. Please read the PSC description to avoid confusion, However we guaranteed that you will learn something new each time you join us.